Instant gratification. In America, this is a problem that permeates virtually every aspect of our lives. From fast food to fast cars and fast downloads from the Internet, we want what we want when we want it. Patience has fallen by the wayside and, as a result, so has our ability to guard against those things that can try our patience and lead us astray. Hieromonk Alexis discusses how impulsive behavior and addictions are directly related to each other and how the Orthodox Church helps us to recognize, resist and heal from impulsive behavior that can lead to addictions. According to the article written by the Hieromonk, people who are impulsive are more vulnerable to developing addictive behavior, because they give little regard to adverse consequences. This is the very definition of impulsive: to act without forethought. Those who struggle with addiction know that resisting impulsive behavior is best in the long run, however, when temptation arises, the desire to be impulsive can take over and thinking about the consequences of the behavior becomes secondary to the desire to give in to it. This calls to mind the verse of the Lord’s Prayer and why we say it: And lead us not into temptation. 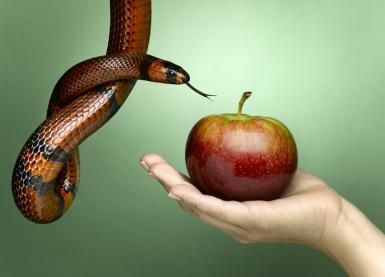 The Orthodox Church fully recognizes the temptation of impulsive behavior and the often destructive consequences that come with it. The early Church fathers and mothers wrote extensively on impulsive behavior and how to guard against it. Many 12-step programs begin with participants acknowledging that they are so powerless over their addiction that their lives become unmanageable. As the saying goes, the first step to solving a problem is admitting that you have one. If left unchecked, impulsive behavior can become infantile and childish and even go so far as to lead to violent tendencies on the part of the one suffering from the behavior. The desire for self-gratification can lead to ugly confrontations where there are no winners. The early ascetics referred to impulsive behavior as provocations and momentary disturbances that assail all of us to such an extent that an immediate response is all but demanded of us. If we repeatedly allow ourselves to give in to the demand for an immediate response, we can find ourselves being led away from God. This calls to mind the ‘foot in the mouth syndrome’ we all suffer from at times. The starting point for healing is rigorous honesty, acknowledging that we want something. St. Mark the Ascetic wrote: “Do not say, I don’t want it, but it happens. For even though you may not want the thing itself, you welcome what causes it.” The welcoming of impulses is the real problem that needs to be addressed. To begin the healing process and overcome the addiction, real change requires a new way of life, a new way of engaging with the world, of relating to others, and of relying on God. St. John Climacus tells us in the Ladder of Divine Ascent that we must place alert guards at the gate of our hearts, restrain the action of our limbs and practice stillness. A harsh word is most often spoken in a time of restlessness. Learning to be still and quiet allows us to think before we speak or act and thus control the urge to give in to the impulsive behavior that tempts us. We must be watchful over our thoughts, words and actions so that we can become more patient and less likely to act impulsively. With God’s help, with wise watchfulness, with control over our limbs, and with much patience, the addicted, the impulsive, and the passionate can all hope to say, as once did Saint Paul: “I can do all things through Christ which strengthens me” (Phillipians 4:13). Can You be Both an Addict and a Christian?